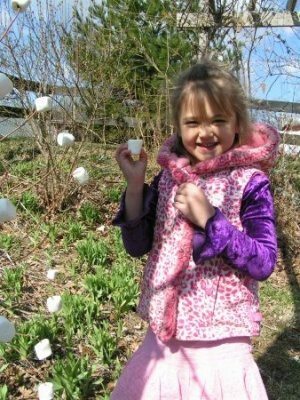 Military Children age 3-10 who participate in the Easter Egg Hunts are $10 each. 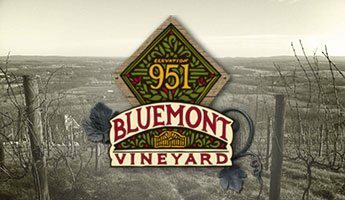 After a long cold winter, nothing chases away the chill like a visit to the farm! 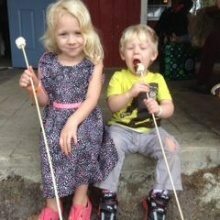 Your family won’t want to miss the first “crop” of the spring– Marshmallow Picking!! 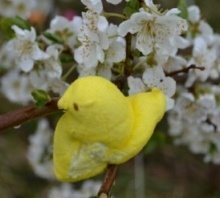 Do marshmallow peeps really grow on trees? 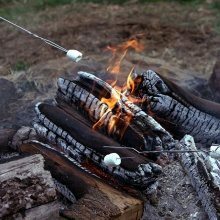 Your children will be amazed to harvest a few marshmallows to roast on the bonfire. The Easter Bunny also hid some eggs, and we need you to help us find them! 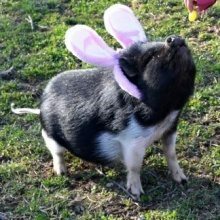 There will be multiple egg hunts each day this year, with over 20,000 eggs spread across 4 hunts/day filled with treats to enchant your children. Come see our spring chicks and baby animals, take a wagon ride, and rejoice that it is spring! 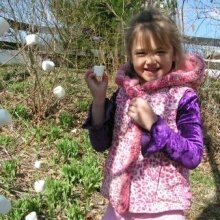 Our annual Easter Egg Hunt & Marshmallow Peep Harvest is included with your paid farm admission. The Egg Hunt & Peep Harvest will occur together at the same time. Check out the schedule below for your child’s age group and be sure to come at least 30 minutes before the hunt start time so you don’t miss the age appropriate hunt(s) for you children. Younger children are not permitted in the hunts for older children as they are just too fast and furious. Great Country Farms will provide each child 10 years and younger a Great Country Farms U-Pick bucket to use to collect the eggs so each child gets a fair amount. Please do not collect in your own basket. 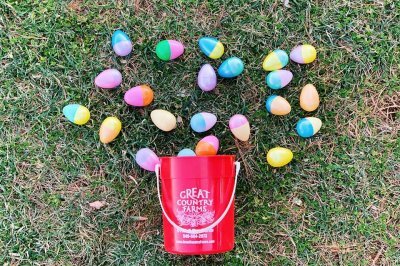 You can dump the eggs the children collect from their GCF bucket into your special basket for a photo opportunity after the hunt is over. 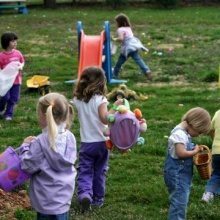 Parents are not allowed to help children collect eggs. The egg hunt is for the children. Parent’s please keep your hands in your pockets! Parents may accompany their child in the 2yr old and under event only. Children who miss the hunt for their age group are not allowed to join another hunt. The hunts for the older children are simply too fast and furious for the little ones. If you have children in two different age groups, please guide them to the proper hunt. There is hard candy in the eggs, so please monitor your little ones after they open the eggs so they don’t eat something you don’t want them too. We recycle the eggs for the following year. If you do not want to keep your eggs, please put them in our designated Easter Egg recycling bins. Contact us today if you would like to be a Golden Egg Prize Sponsor! 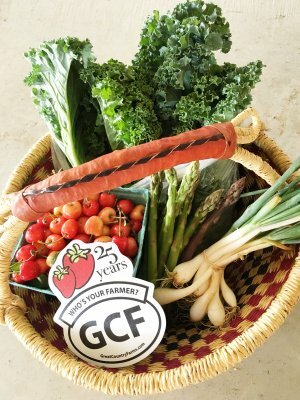 Grand Prizes Season passes from Great Country Farms! Come on out and hunt those eggs!